We waste 40 percent of our food in the United States. Can you imagine? We throw almost half of our food away. Perfectly good food for the most part -- food we have either bought too much of, believe has gone bad, or don't think is pretty enough to eat. And, don't forget those supersize portions, the ones we can't resist and we can't finish. The U.S. Department of Agriculture reports that a typical American throws out 40 percent of fresh fish, 23 percent of eggs, and 20 percent of milk. Citrus fruits and cherries top the list as the most wasted fruits, and sweet potatoes, onions, and greens are the vegetables we're most inclined to toss. Need some more mind-boggling stats? Each American wastes $28 to $43 of food or about 20 pounds, per month. The average American family of four generates 36 pounds of wasted food each week. An estimated 50 million Americans don't have enough to eat. One in six Americans go hungry. Twenty-five million people could get fed, if we reduced our waste by 15 percent. Is there a disconnect here or what? 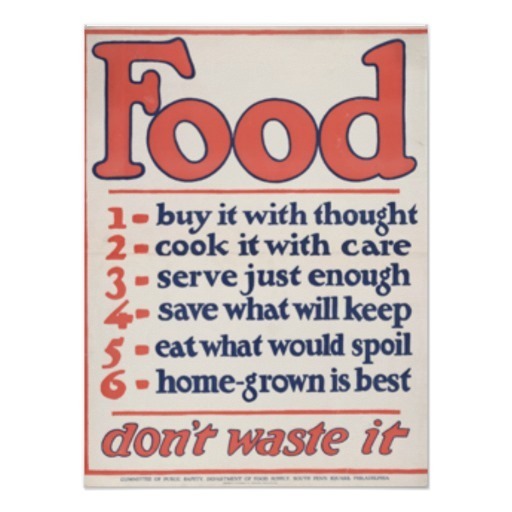 To compound the problem, it's not just the food from the farm, table or fridge that we waste. Every time food goes uneaten, huge amounts of land, water, and energy are wasted. Money, labor and finite resources go into the production, processing, packaging and transportation of all that food -- the equivalent of $165 billion that we end up throwing out as food waste every year. The environmental and financial implications are staggering. The icing on the proverbial cake is then our wasted food is taken to the landfill where it decomposes and produces methane -- one of the nastiest greenhouse gases contributing to the climate crisis. Methane is 21 times more harmful than carbon dioxide to the planet. Get this: If food waste was a country, it would be ranked number three in terms of greenhouse gas emissions. Why do we waste so much food and what should we do about it? Maybe you show up at the grocery store hungry, and indulge in a few too many purchases. Or you run out of time to use those extra fruits and veggies in the fridge. Perhaps the sell-by date has passed and you choose to toss expired food because you think you might get sick. Maybe you visited a restaurant, and they served you and your two small children massive portions that they could not possibly finish. Shop Wisely. Plan meals, use shopping lists, buy from bulk bins, and avoid impulse buys. Don't succumb to marketing tricks that lead you to buy more food than you need, particularly for perishable items. Though these may be less expensive per ounce, they can be more expensive overall if much of that food is discarded. Buy Funny Fruit. Many fruits and vegetables are thrown out because their size, shape, or color are not "right". Buying these perfectly good funny fruit, at the farmer's market or elsewhere, utilizes food that might otherwise go to waste. Learn When Food Goes Bad. "Sell-by" and "use-by" dates are not federally regulated and do not indicate safety, except on certain baby foods. Rather, they are manufacturer suggestions for peak quality. Most foods can be safely consumed well after their use-by dates. Mine Your Fridge. Websites such as www.lovefoodhatewaste.com can help you get creative with recipes to use up anything that might go bad soon. Use Your Freezer. Frozen foods remain safe indefinitely. Freeze fresh produce and leftovers if you won't have the chance to eat them before they go bad. Request Smaller Portions. Restaurants will often provide half-portions upon request at reduced prices. Eat Leftovers. Ask your restaurant to pack up your extras so you can eat them later. Freeze them if you don't want to eat immediately. Only about half of Americans take leftovers home from restaurants. Compost. Composting food scraps can reduce their climate impact while also recycling their nutrients. Food makes up almost 13 percent of the U.S. waste stream, but a much higher percent of landfill-caused methane. Donate. Non-perishable and unspoiled perishable food can be donated to local food banks, soup kitchens, pantries, and shelters. Local and national programs frequently offer free pick-up and provide reusable containers to donors. But the change begins with you -- your next shop, your next meal, your next order. Don't waste your food if you know what's good for you.